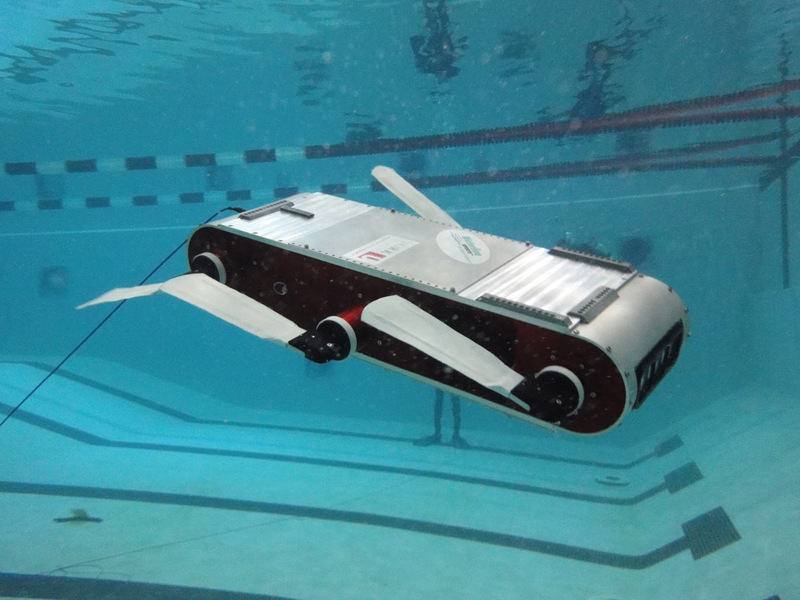 Aqua2 is an amphibious six-legged robot. 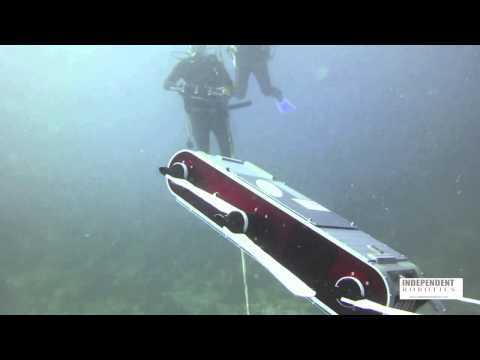 It's designed for applications involving dive assistance, environmental monitoring, and locomotion research. 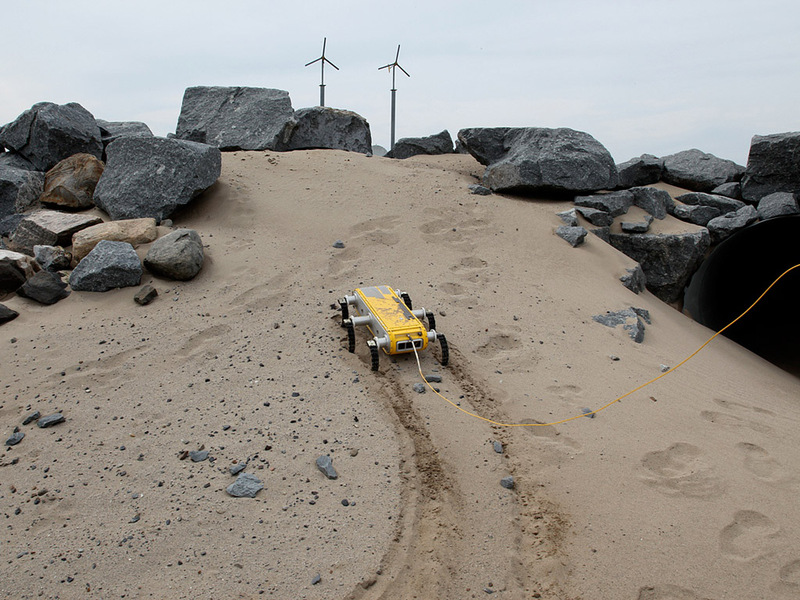 Aqua2 can use paddles or feet, depending on the terrain. The six legs move independently, allowing for different gaits. Aqua2 can operate completely untethered. 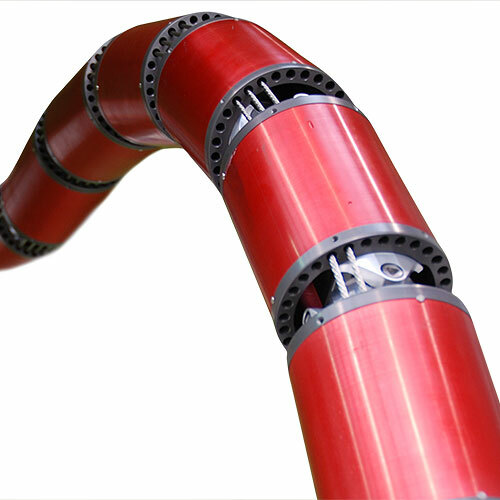 Aqua's flippers move independently, enabling it to move forward, backward, up, down, and sideways; it can also perform somersaults and rolls. 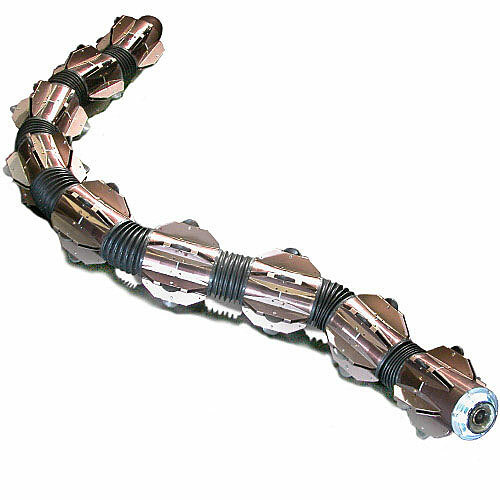 The robot's appendages come in a variety of sizes and shapes: One set works like a dolphin's flippers, while another functions more like a cockroach's legs. 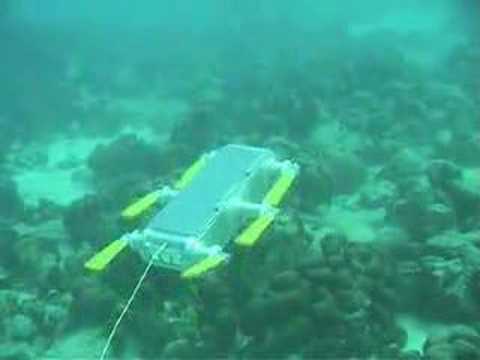 Aqua played an important role in documenting the degradation of coral reefs due to changes in the marine environment off the coast of Barbados. 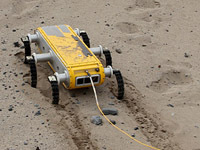 Aqua is easy to deploy: You can literally throw it into the water from a boat, or it can launch itself from the beach. 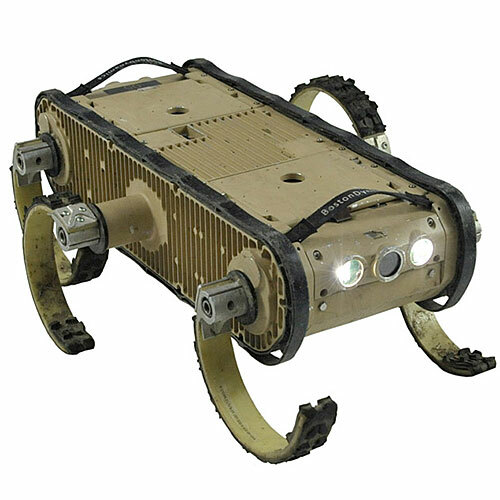 Rugged sealed chassis, multiple walking gaits and swimming styles, water resistant up to 30 meters, 3D mapping. 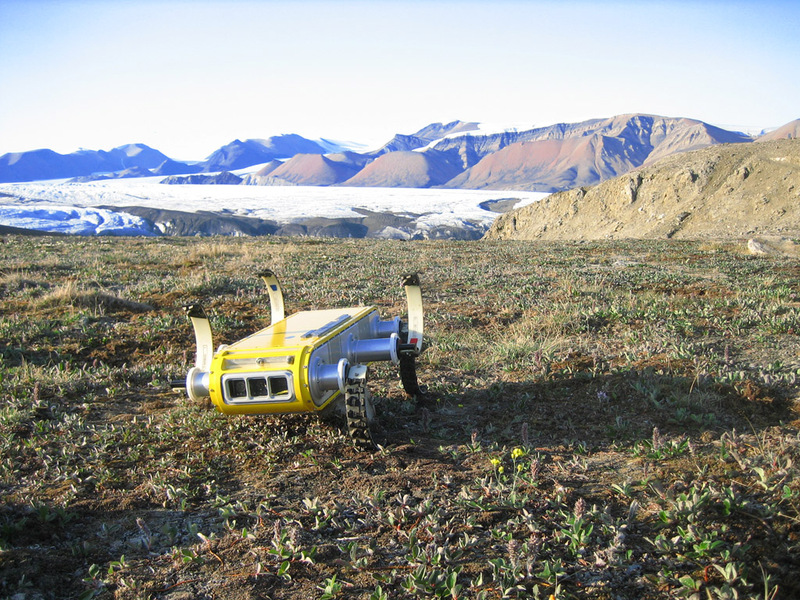 Three cameras, inertial measurement unit, depth sensor. 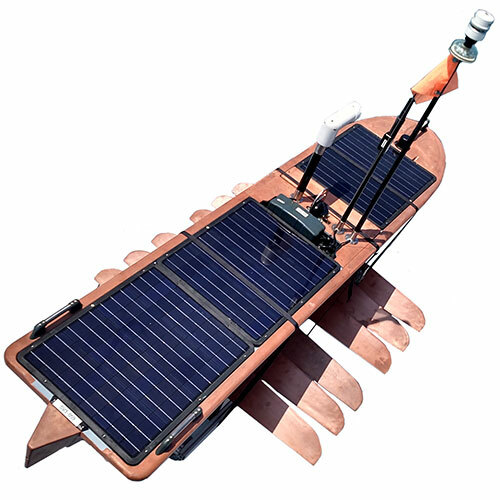 On-board control stack with 500 MHz processor. Vision stack with 1.4 GHz processor. 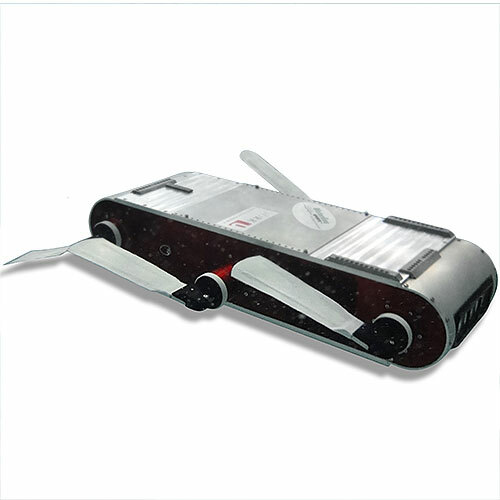 High grade aluminum chassis with six vinyl control fins or fiberglass legs. 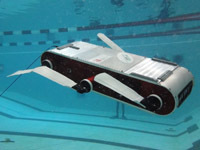 The initial Aqua robots were designed by Gregory Dudek at McGill University, in Montreal, in collaboration with teams led by Michael Jenkin at York University, in Toronto, and Evangelos Milios at Dalhousie University, in Halifax, Canada. 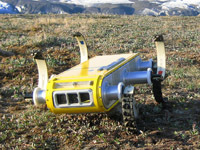 Their first design, based on RHex, a six-legged walking robot developed by U.S. and Canadian researchers in a program sponsored by DARPA, was unveiled in 2004. 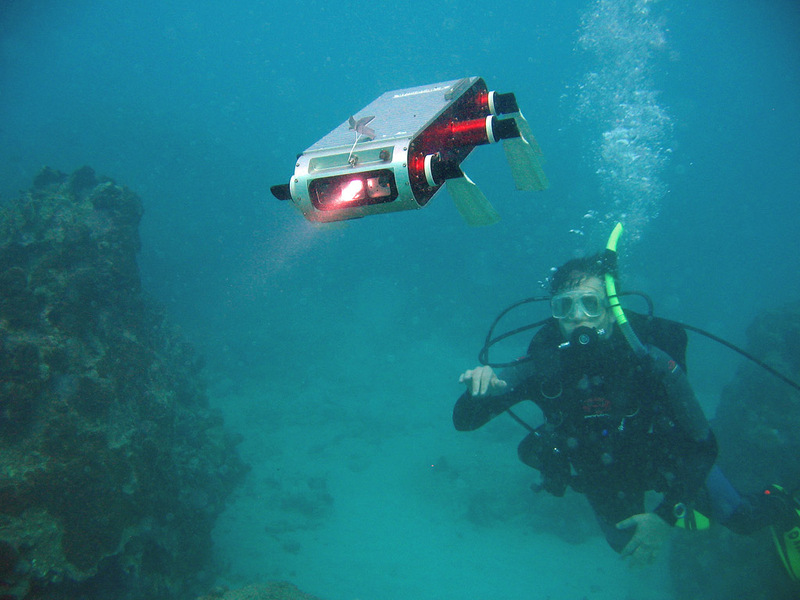 Aqua has been tested in real underwater environments in Barbados and Nova Scotia, where scientists used the robot to assess the health of coral reefs and other marine life. 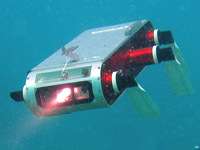 Adept MobileRobots began offering Aqua2, a commercial version of the robot, in 2011.